With authentic crafts, artisanal food, beautiful company and quirky music, you can’t help not to love markets, especially these few favourites that we have rounded for you. Meet the creators of the city and have a chat with them about their side hustle, these charismatic entrepreneurs will sell you almost anything and everything at half the price anywhere else in town and give you a good story for free. 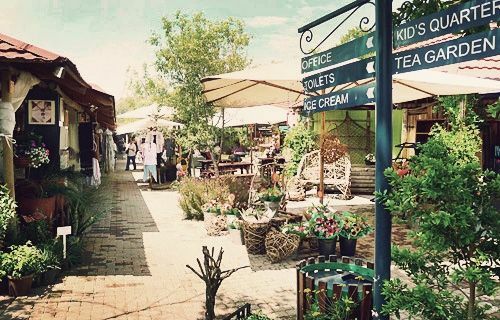 It’s time to go back to yester-year, dating back to 1976, the Bryanston Organic Market is one of the oldest outdoor markets in Jozi. Take a long vibey walk through this iconic market, hosting over 140 stalls with deli foods, crafts and clothing made from natural materials. Once you have done all your walking and browsing, sit down at one of the four eateries for a delicious lunch. Located in the trendy and funky Maboneng Precinct, this market is a little Addis Ababa brought to Joburg. Known for serving traditional Ethiopian delicacies and selling Ethiopian spices, this hidden gem is on Fox Street is a must for any foodie. If we could recommend a must , it would be the Kassa’s kitchen, an Ethiopian restaurant within the market that serves up hearty Ethiopian meals from Tuesday all the way through to Sunday. 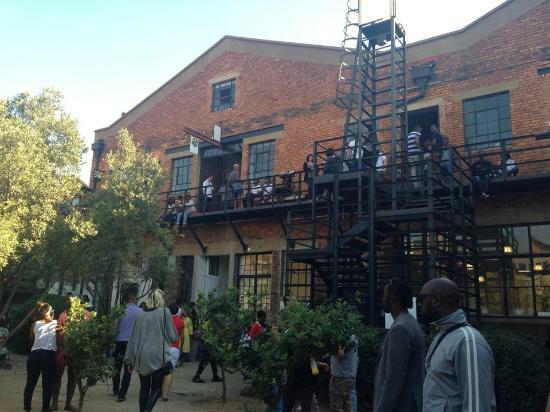 Market on Main has been transformed from a 1900’s warehouse to an iconic Jozi Market. The market also has a fresh young feel with a majority of the stalls and store owners being young and aspiring entrepreneurs who get to showcase their work while offering visitors the chance to discover upcoming local designers. The space offers a relaxed and creative space to experience the inner-city lifestyle and up-and coming creators. You will find a variety of cuisines, plants, herbs, fresh produce, flowers, vintage items and the vibrant energy of the locals. This is probably the most popular market in Joburg, and it is definitely one of our favourites. 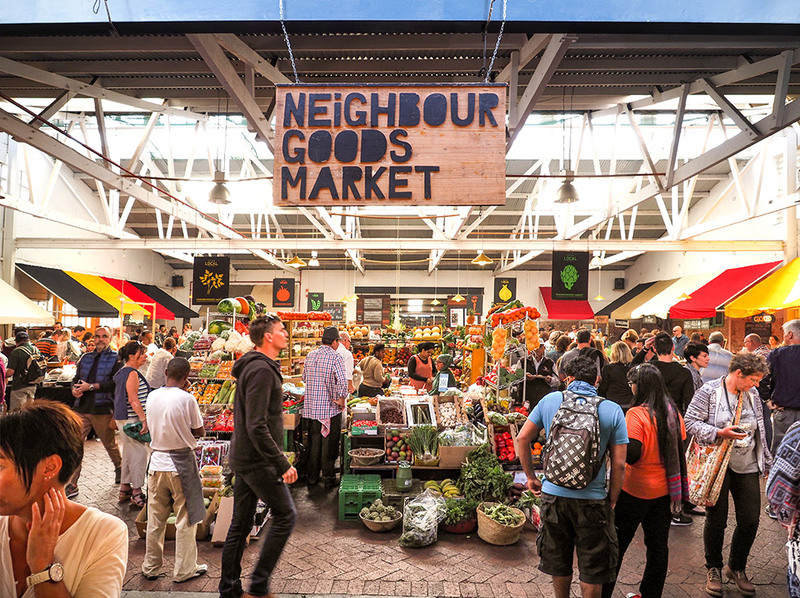 The Neighbourgoods market draws a variety of crowds, bringing together a great and diverse group of people. This market is ideal for starting out your Saturday morning. You will find fresh food, craft beers, crisp champagne, vegetarian and vegan options, biltong, and a variety of sweet sweet desserts! They also have some fun and jazzy live music and it is ideal for grabbing something to eat and enjoying the vibrancy of Braamfontein.